At Southern Solutions we realize that your study results are only as good as your respondent screening. We hold ourselves to the highest standards in research data collection. We give attention to detail so that you can place your study with confidence. You will experience results that are on time every time. A quick turnaround within budget is our commitment to you. Our clients deserve peace of mind. 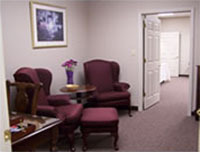 A Focus Group Facility that Provides you with the Convenience of Your Office and the Comforts of Home. At Southern Solutions you can expect quality recruiting to your specifications. We maintain a computerized database of consumer, executive, professional, and technical respondents. Our new facility has a relaxing atmosphere to encourage spontaneity and creativity from your respondents. 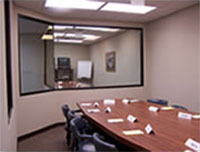 Our state-of-the art audio-visual system provides our clients with clear audible tapes. Broadcast quality video equipment is available. 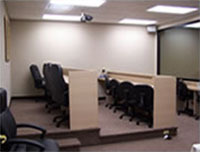 The Executive Observation Room comfortably seats 16 and is equipped with tiered seating, Hi-speed wireless internet, massaging chairs, fixed cameras. 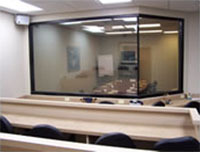 Our considerable experience in mock juries for trial simulation includes major clients from the tobacco and banking industries. Contact Us if you have any questions or need any additional information.